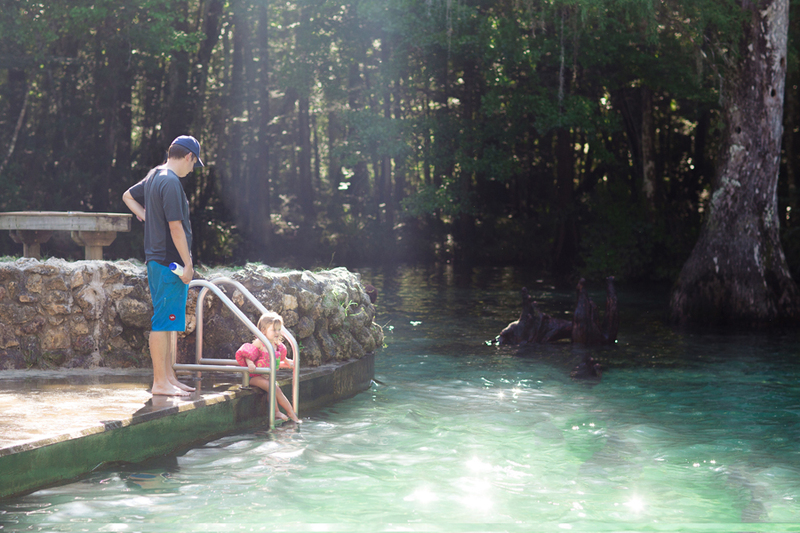 During our trip to the Florida Panhandle, swimming in a natural spring was a highlight for me. 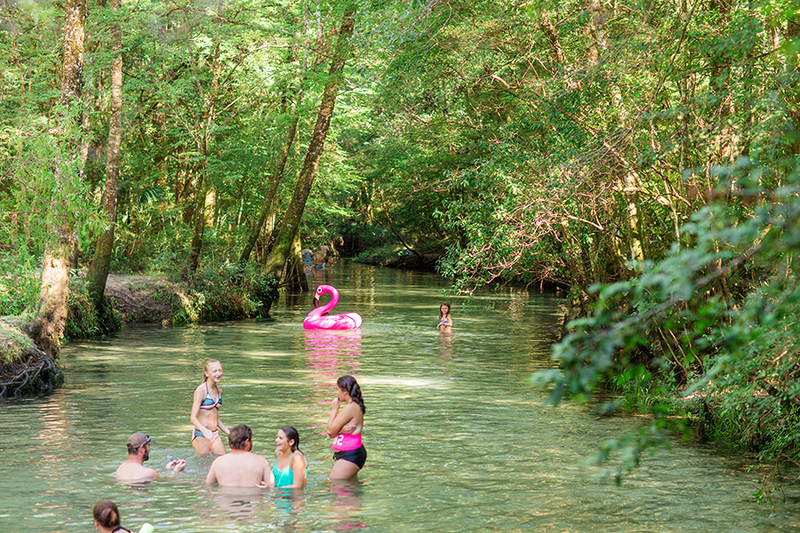 We went to Ponce De Leon Springs State Park. 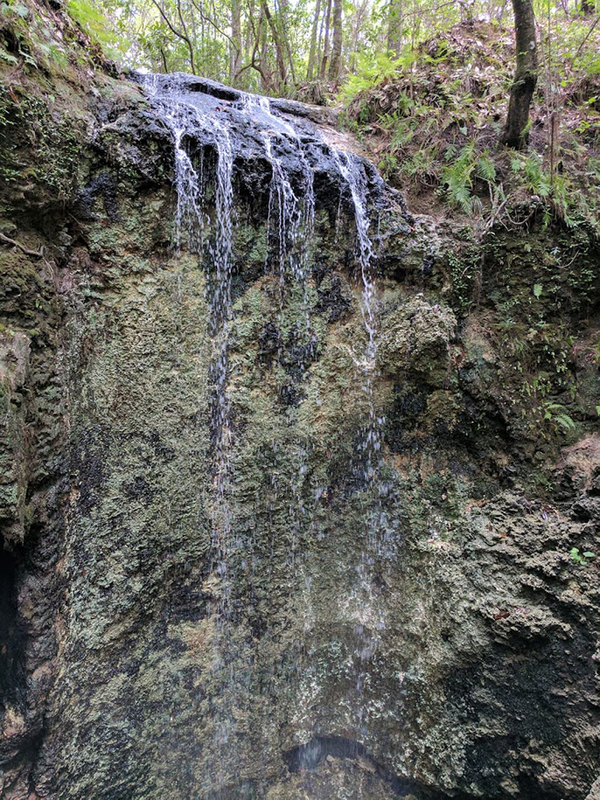 The natural spring is 68 degrees year round. It felt like ice dipping my toes into the water. I took over an hour to immerse myself in the waters. My toddler kept jumping in, screaming, scurrying out and then jumping in again. She was unable to comprehend why it was 90 degrees outside yet the water felt so cold. As one of the patrons said you “numb up” after you get in. It was true. Once you got over the initial shock of freezing water my body did numb up and I enjoyed swimming in the beautiful spring. It was so crowded but despite the crowds it was an enjoyable experience. Continue after the jump to see more of our little trip to the Florida Panhandle. 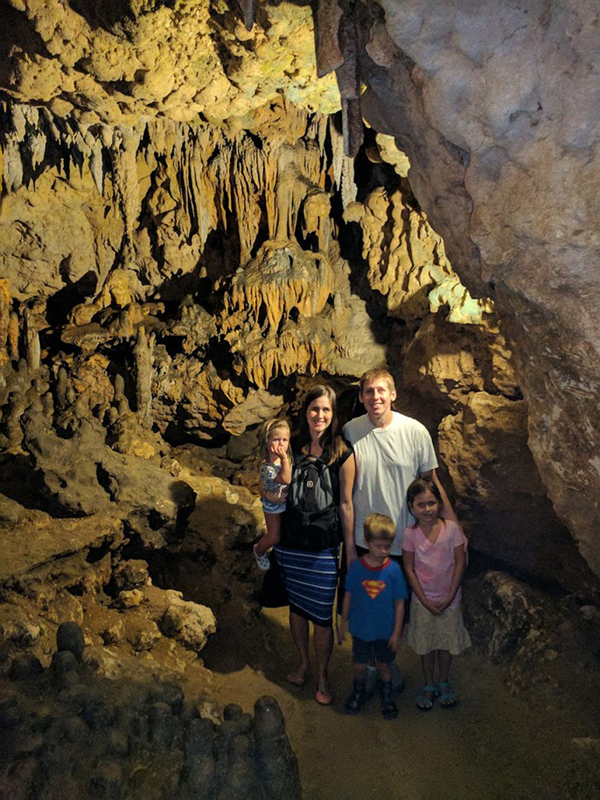 We did a little tour of the Florida Cavern State Park. 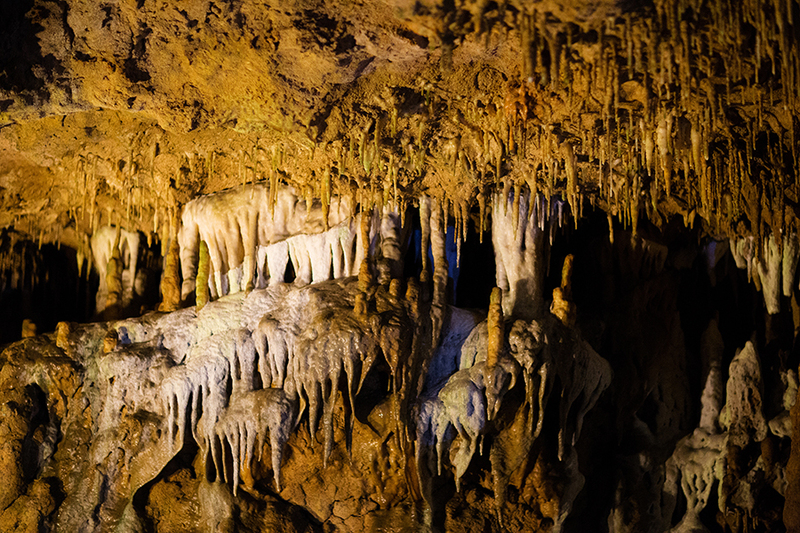 I always have to refresh my memory of the difference between the stalactite and stalacmites. My favorite part of all cave tours is when they turn off all the lights for a minute and you can experience absolute pitch blackness. As long as it’s not for too long I enjoy it. Last we did a quick hike to the Falling Waters State Park. It was pretty amazing to think so much diversity exits in a pretty close geographical area. One of the more random things we did was visit the Defuniak Springs Library. It is the oldest (1887) library in Florida that is still a library. There are other libraries that are older but they are no longer operating as libraries. 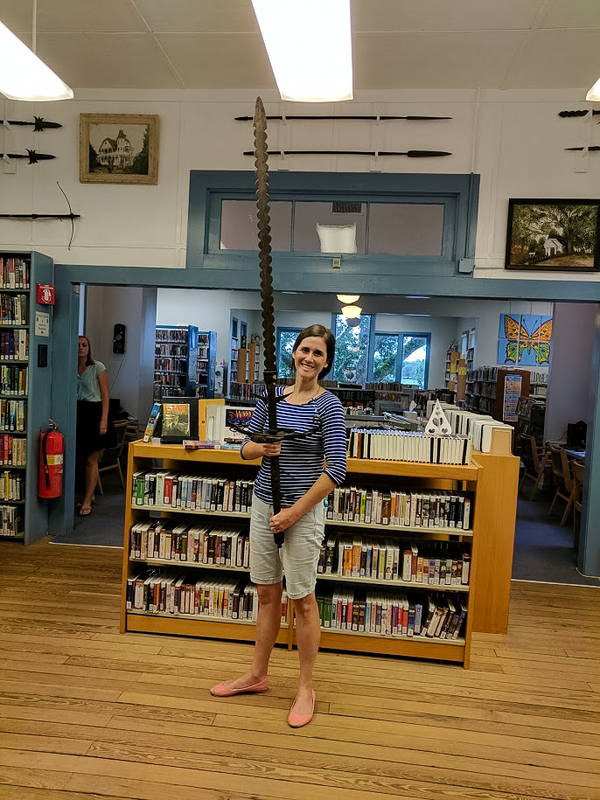 The library had lots of cool artifacts like this massive sword I am holding. The librarian was so kind to let us all hold it. I was most enchanted with an old music box. It took up more room than an old record player and was the largest one I had ever seen. This trip to the Florida Panhandle was taken in the summer of 2017.